Chaudhry Usama Wains received a message on his Facebook page in January 2018. 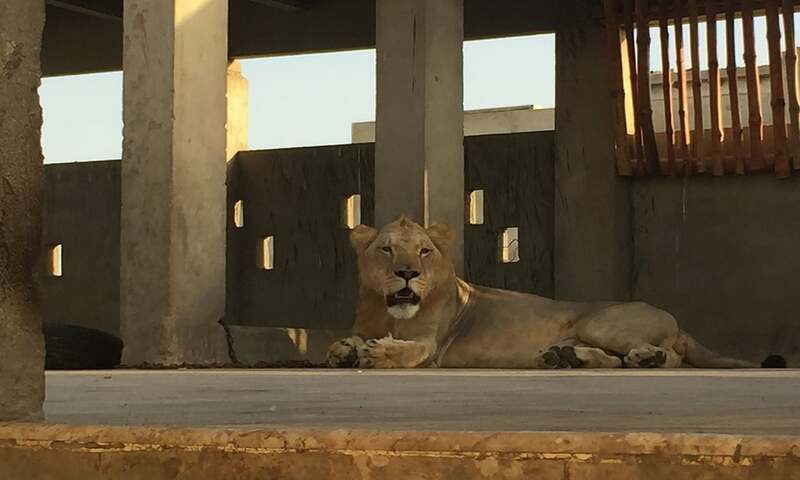 An aspirant for a Khyber Pakhtunkhwa Assembly seat was interested in buying a lion and wanted it delivered to a specific location in Peshawar. 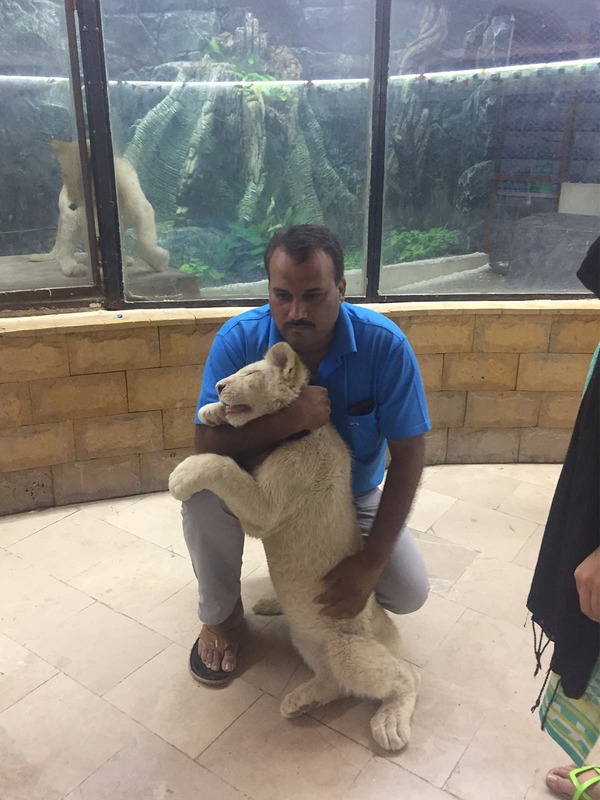 Wains, who deals in animals, drove from his home in Faisalabad along with an African lion and a couple of companions a few days later. As they were about to reach the designated spot, two cars approached them. Some men got out of them and took away the lion forcibly — without paying a penny for it. Wains does not know who the lion snatchers were but he suspects that they were sent by the politician who had sought the lion’s delivery. Politics and lions have a close association in Pakistan. Politicians who make a name for themselves often come to be known as the lions – undisputed rulers – of their respective constituencies or districts. A few of them have gone on to earn the title of Sher-e-Punjab — the lion of Punjab province; the most famous of them being a former chief minister and provincial governor, Malik Ghulam Mustafa Khar. At least one political leader, Nawaz Sharif, has been elevated by his supporters to the exalted status of a babbar sher — a lion king. When he arrives to address public gatherings, he is always greeted with cheers of dekho dekho kaun aya, sher aya, sher aya (look, who is here — a lion). For some inexplicable reason, however, a lion is not included in the list of election symbols approved by the Election Commission of Pakistan. Nawaz Sharif’s party, Pakistan Muslim League-Nawaz (PMLN), has, therefore, settled for the next best thing – a tiger – as its election symbol. By a stroke of linguistic luck, they are still able to call their symbol a sher — a word locally used for both a lion and a tiger. Love for shers runs high in the PMLN’s echelons. In 2009, Nawaz Sharif’s nephew Salman Shahbaz obtained a special permit from the federal government to import two Siberian tigers from Canada. His father, Shehbaz Sharif, was Punjab’s chief minister at the time. Some other shers – caged or chained – have been spotted at PMLN’s election gatherings and protest rallies. Many of the party’s candidates in past elections have also paraded lions during their campaigns to mobilise support. In August 2018, an Indian named Karthik used a Facebook forum to accuse Wains of scamming him. Karthik’s post alleged that Wains had promised to send him a lion in India via a train from Pakistan for 3,000 US dollars that were to be deposited in a bank account in Malaysia. After Karthik transferred the money in two installments, he alleged, Wains stopped responding to his calls. 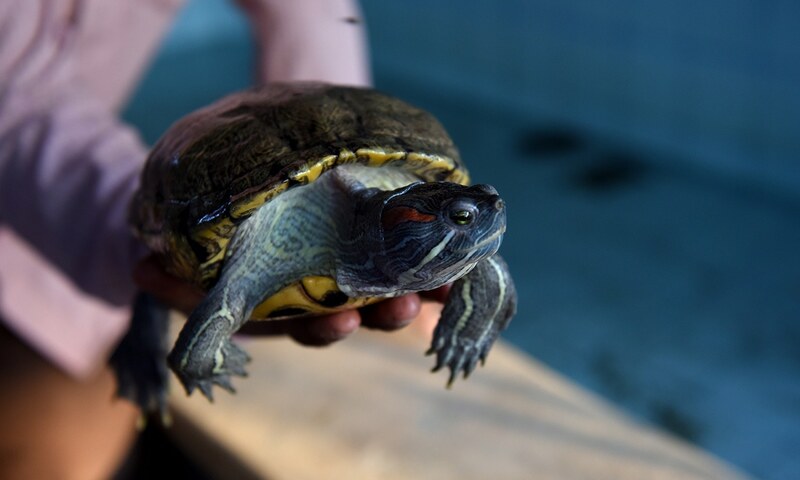 Finding the animal locally should not be hard. Multiple Facebook groups offer African lions, scientifically known as Leo Panthera, for sale. Three cubs, each four months old, are available for 750,000 on one group’s page. 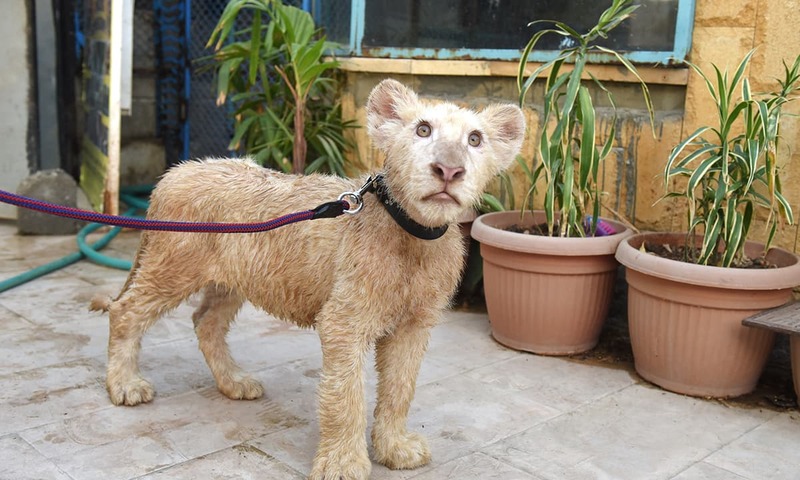 Another group offers two brown East African cubs of messai variety for 450,000 rupees (available for delivery at any location in Pakistan with an additional charge of 15,000 rupees). 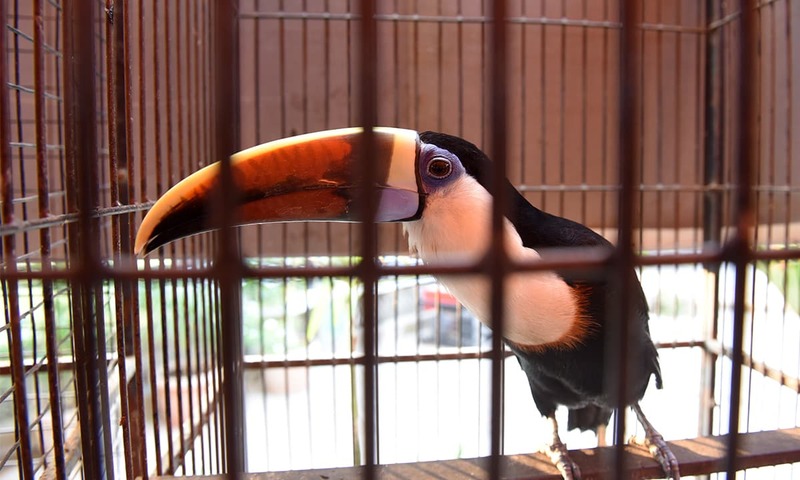 This story was produced by the Herald, written as part of the ‘Reporting the Online Trade in Illegal Wildlife’ programme. This is a joint project of the Thomson Reuters Foundation and The Global Initiative Against Organized Crime funded by the Government of Norway. More information at http://globalinitiative.net/initiatives/digital-dangers. The content is the sole responsibility of the author and the publisher. The writer is a freelance reporter based in Karachi. About time the nation was made aware of these endangered species. Such a nicely written informative article. Very shameful. 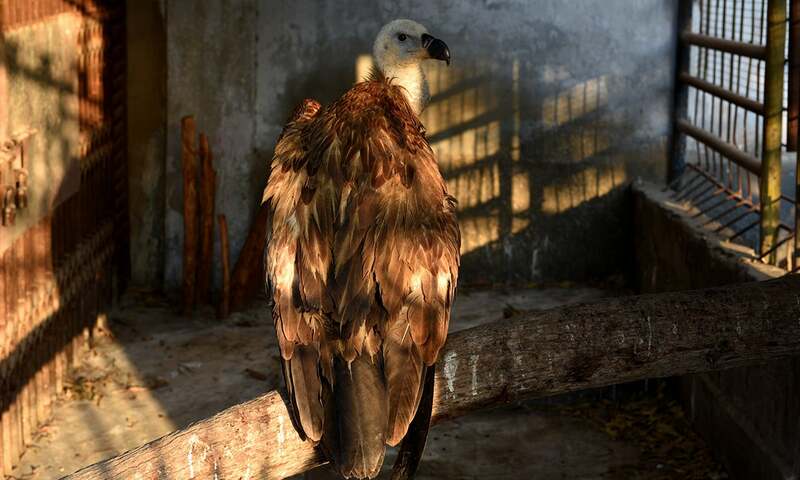 The Government of Pakistan must ban all private parties and people from keeping any wild animals at all, immediately. Strict fines and prison sentences must be implemented. Babber Share does not mean the lion king, it simply means a lion. Just 'share' could mean both a lion or a tiger.